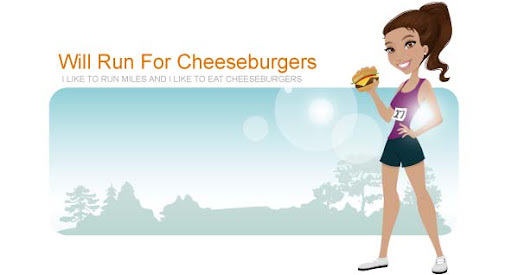 Will Run for Cheeseburgers: taco night! I love tacos. I love buffalo sauce. 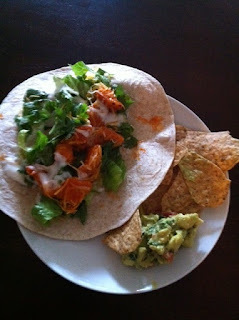 I love buffalo chicken tacos, especially the ones I found on Jessica's How Sweet Eats blog. I used her recipe last night to make Ryan and I a delicious meal. 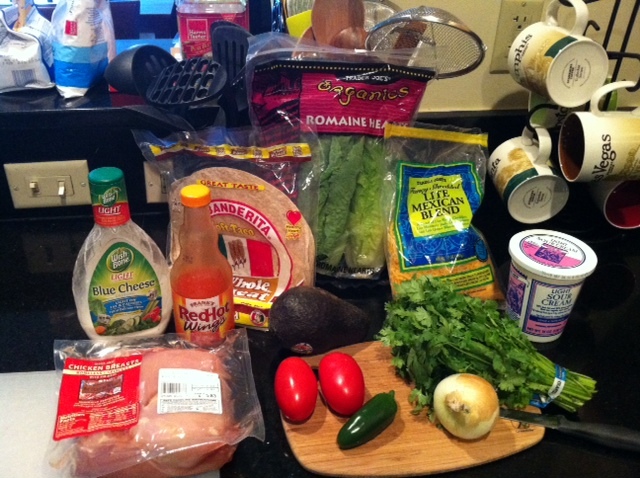 I even made a side of guacamole to go along with it. The recipe was pretty easy to follow (which is good for a mid week meal). I cut up pieces of chicken and breaded it with a flour/corn starch/spice mixture. I then lightly fried the chicken and eventually coated all of the little nuggets in buffalo sauce.